HP's outgoing top marketer shares his ideas on brand-building, creativity, diversity and impact. 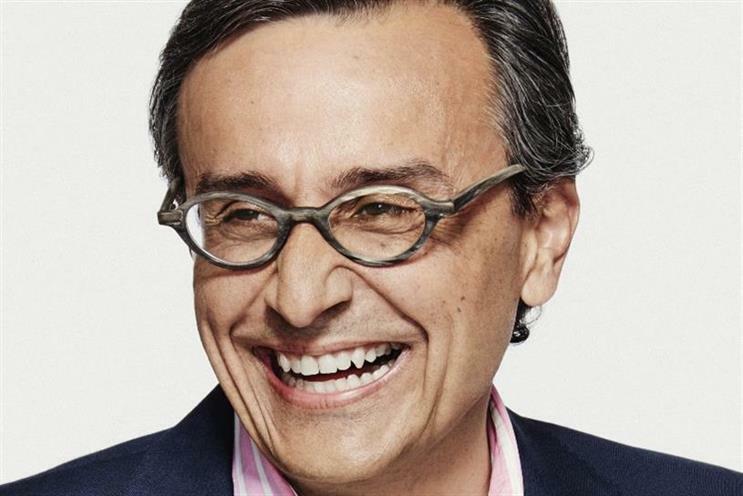 Antonio Lucio joined HP as global chief marketing and communications officer in 2015 from Visa, where he held the same role. Last week, Facebook announced he would join the social media platform as CMO on 4 September. He is a member of Campaign's Power 100. Thirty years ago, when I started my marketing career at P&G, I tried to explain to my father, a charming, but rather grumpy Spaniard, what it was that I would be doing. After what I thought was a well-articulated, detailed explanation he asked "So, my son, you do not sell; you do not make the products; you do not create the commercials… what in the hell do you do?" It was a great question. It still is. And the answer is that I firmly believe the mission of marketing is to build brands that stand the test of time. Inherent in that statement is the concept that we do not build for the sake of it. We build them because we believe that having strong, vibrant, preferred and differentiated brands is the key to sustainable businesses. What’s creativity got to do with it? Today, building brands is about creating lasting emotional connections. In the experience age, customers expect curated, relevant and hyper-targeted experiences. In order to deliver these effectively, you need to have a data-driven direct understanding of the customer, coupled with outstanding creative and magical storytelling. At HP, for instance, we have championed a new agency partnership model - one that enables us, as a brand, to better know our customers and encourages our agencies to refocus on their creative capabilities. We’ve built a lot of media buying and analytic capabilities internally and absorbed a lot of that work in-house so our agency partners can dedicate their time, efforts and resources to growing their creative talent. Because creativity and magical storytelling is exactly what is needed if we want to create high calibre, emotionally resonant customer experiences. Tapping into transformative customer insights and human truths requires tapping into deeply diverse teams that reflect the world in which we all live and serve. Instinctively we know this, but now data proves it. Creative produced by diverse teams produces greater business results. To mine the best creative, driving diversity in our own industry becomes our first opportunity to blend great marketing with cultural transformation. But giving it lip service is not enough. We must drive holistic and sustainable change through quantifiable, actionable measures to build more diverse teams throughout our industry. At HP, we don’t demand from others something we have not done ourselves. We, alongside agencies and many other brands, have taken the necessary steps to increase our percentages of women and minorities in leadership roles, as well as throughout the creative and account teams. Whether it be through partnerships with Free the Bid, aimed at getting more female directors on industry work, or collaborating with Cannes Lions and others to launch #MoreLikeMe, a mentoring program meant to support and empower more diverse talent in our industry, brands are stepping up and making it happen. What does all this mean for individual marketers? Immense opportunity for impact. Whether you are just starting out or deeply entrenched, the only way to be successful is to be intentional in how you go about it. To do this, I recommend four core strategies: first, gather honest feedback about your performance. Knowing what you do well and where you need to grow is critical for success. Second, learn to self-advocate. This is not arrogance. This is confidence and determination. Third, seek mentors. But do it methodically and intentionally. Your mentor will appreciate it and you will benefit from it. Finally, and most importantly, embrace change in all its forms, especially when you may be most resistant to it. Remember, change is inevitable. Growth and success are not. What lies before us in marketing is happening whether we like it or not. Embracing it. Adapting to it. That is the only way that change becomes growth, success and true meaningful impact.